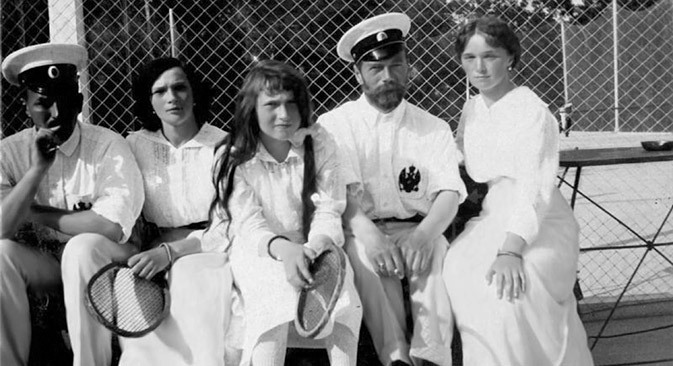 From the pages of fiction to the Kremlin's courts, Russians have loved tennis for over 150 years. Wimbledon is underway and the annual influx of Russian stars in SW19 is becoming an English summer tradition to match strawberries and cream on Centre Court. But Russian tennis didn’t just begin with Maria Sharapova storming the Wimbledon title in 2004. As 11 hopefuls seek glory on the hallowed grass courts of southwest London, RBTH picks out a few fascinating facts about the growth of the game. Several years before the official ‘date of birth’ of Russian tennis in 1878, the great novelist Lev Tolstoy was already advocating the new game. The writer may have encountered tennis in the 1860s – St. Petersburg got its first court in 1866 – and he featured the sport in his novel 'Anna Karenina', which was serialized in Russky Vestnik from 1875-78. In the sixth part of the story Anna and her lover, Vronsky, play a game of doubles. Russian tennis officially delivered its first service in August 28, 1878 when a group of enthusiasts staged an exhibition tournament in St. Petersburg and published a manifesto on the development of lawn tennis throughout imperial Russia. Despite his Scottish surname and ancestry, Arthur Davidovich McPherson (1870-1919) was a native of Petersburg and lived his entire life in Russia. It seems that he inherited something of the Victorian obsession with sports – he was the founder and president of the first All-Russian Union of Lawn Tennis Clubs, the forerunner of today’s Russian Tennis Federation, and also helped establish the country’s first Olympic Committee. In 1903 he organized the first St. Petersburg tennis championship, and four years later he set up the first national tournament. By 1913 the Russian championship was on the international tour and the game was thriving. Politics intervened. The revolutionary chaos of 1917 affected all sports, and with its bourgeois associations tennis was no exception. McPherson was twice arrested in 1918 and died of typhus in a Moscow prison the following year. In the 1920s tennis regained official favor as the communist country went crazy for participation sport. Tennis was one of the sports included in the 1928 Spartakiad, a huge festival of amateur sport designed to nurture a new, healthy, active generation of Soviet citizens across the entire country. In the 1930s seven-time Grand Slam winner Henri Cochet was one of the biggest stars of world tennis. So it was a huge coup for the fledgling Soviet tennis scene to attract him for two tours in 1936 and 1937. Cochet played exhibition events in Moscow, Leningrad, Kiev and other cities and was eager to return the following year to establish a tennis school. However that venture was short-lived: as the purges intensified Cochet was deported on ‘espionage’ charges and many of those associated with him were executed. In the 1950s the USSR returned to the international sporting scene, and the country’s tennis players were allowed to compete in major events – at least in theory. In practice there were severe restrictions. Terrified of defections, the authorities would only allow players to spend 40 days at overseas competitions. Any prize money was collected by the state – Natalia Chymreva, a potential champion whose career was wrecked by the pressures of the Soviet system, recalls winning $5,000 at a tournament in Chicago in 1977, but receiving just $180. Olga Morozova, the brightest star of Soviet tennis, had fond memories of Wimbledon as a player – she was runner-up in 1974 and played in two mixed doubles finals. But she also had a hand in unearthing Andy Murray, the first homegrown champion since the 1930s. In the 1990s Morozova was on the LTA’s coaching staff. When she spotted the fiery young Scot she was quick to recognize a potential champion. Murray himself paid tribute to Morozova’s help, recalling her contribution last year while explaining why he had no problem hiring a woman, Amelie Mauresmo, to coach him. Morozova’s move to Britain was far from her first foray across the East-West divide: back in 1974, at the height of the Cold War, she put politics aside to partner America’s Chris Evert to the French Open doubles title. Russian tennis rocketed up the rankings in the 1990s – with a little help from the Kremlin. Boris Yeltsin, the first post-Soviet president, was an enthusiastic player and suddenly the country’s tennis courts became the place to lobby for influence. His VIP tournaments attracted the country’s movers and shakers, with deputy PM Oleg Sysuev and Moscow Mayor Yury Luzhkov among the president’s sparring partners. Despite his earlier appearance in an exhibition game on Red Square Luzhkov reportedly struggled: used to opponents making him look good, he was literally blown away by a 160mph serve from former World Number 49 Andrei Olkhovskiy.